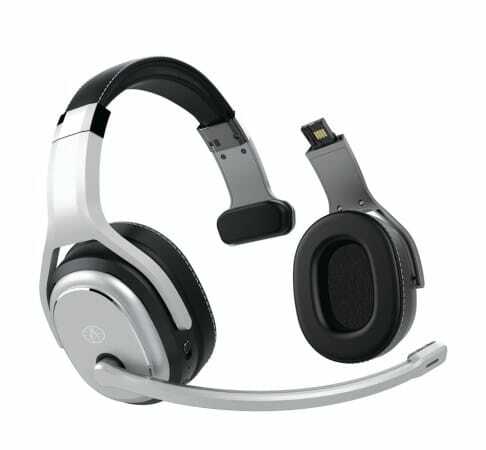 Rand McNally has combined a premium stereo headphone and noise-canceling mono headset in the ClearDryve 200 headphones. The wireless stereo headphones offer rich and clear sound, the company says. Just remove an ear cup and position the boom microphone, meanwhile, and the unit becomes a headset that eliminates more than 90% of ambient noise. The ear cups are made of memory foam and covered in a soft, oil-resistant material. And the Bluetooth connection will connect with smartphones up to 50 feet away. A built-in rechargeable battery offers more than 20 hours of talk time, more than 500 hours of standby time, and more than 20 hours of music playback time. Controls on the headphones themselves make it possible to take calls, skip songs, or change the volume without reaching for the smartphone.